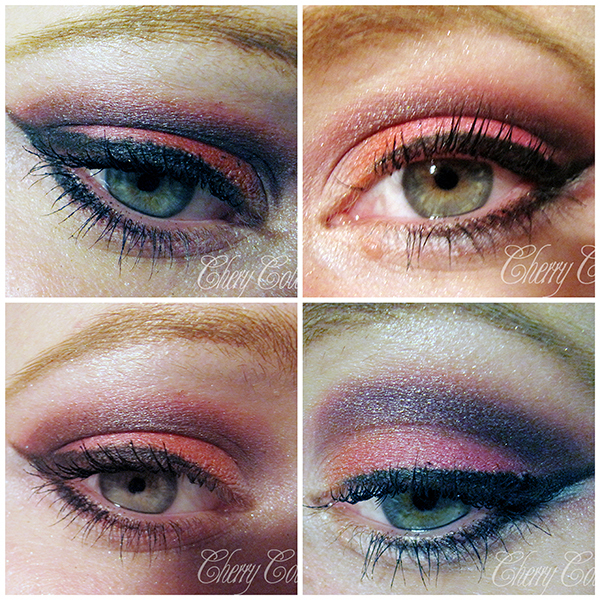 Peach Pink smokey eye - Cherry Colors - Cosmetics Heaven! Sometimes I do my make up at night, or at least when outside it is already dark. Most of the cases the make up I do comes out beautiful or at least nice looking. But in the dark it is really hard to take good pictures :(. That's why today I have a collage of not so good pictures.